"The first thing is, I shouldn't have talked about clones," said Hideo Kojima, laughing. He was joking. I think. 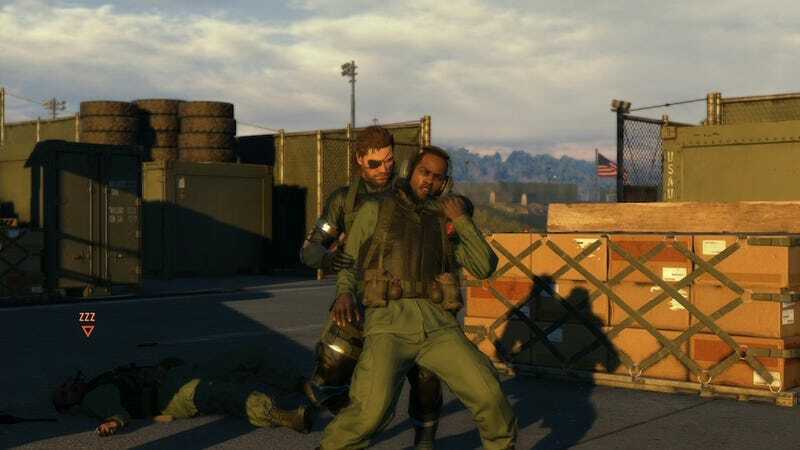 Kotaku's Evan Narcisse and I were sitting in a swanky hotel room with the creator of Metal Gear Solid, and we'd just spent some time talking about his next game, Ground Zeroes, which is a prologue to Metal Gear Solid V, itself a prequel to Metal Gear Solid 4, which is not a prequel. But Metal Gear Solid 3 is a prequel to Metal Gear Solid 2. That second one, MGSV, isn't out yet. Kojima and his crew at Konami are still working on the next-gen game, which stars Big Boss, the protagonist of MGS3 and MGSV, and whose clone, Solid Snake, stars in the next three. There are clones and nanomachines and betrayals among betrayals among betrayals. It's a plot so convoluted it puts Lost to shame, and when I asked Kojima how he keeps track of it all—how he maintains a consistent story while writing something that happens in between a number of other games—he admitted that it's one hell of a challenge. In fact, Kojima said, he expects the next Metal Gear Solid game to have at least a few minor inconsistencies. "I'm pretty sure that the guys at Star Wars had the same issues," Kojima said through a translator. "When you try to write something that was supposed to be in the middle there will be some inconsistencies when you go into very small details." Indeed, people have already started worrying about plot holes and retcons along the lines of Vamp's immortality and Big Boss's dead-alive-dead-alive status, and although Kojima didn't get into specifics during our conversation, he did tell us he has other priorities. "The most important part is writing something that is fun, something that is impressive, something that is better than it was before," Kojima said. "So sometimes in the interest of doing this, of having a better experience, we sacrifice some consistencies in the story. I hope the fans and players understand this, but I need to write the best we can, even if there are some small discrepancies." We'll have more from our chat with Kojima—and more details on the upcoming Metal Gear Solid: Ground Zeroes—on Friday at 9am Eastern.